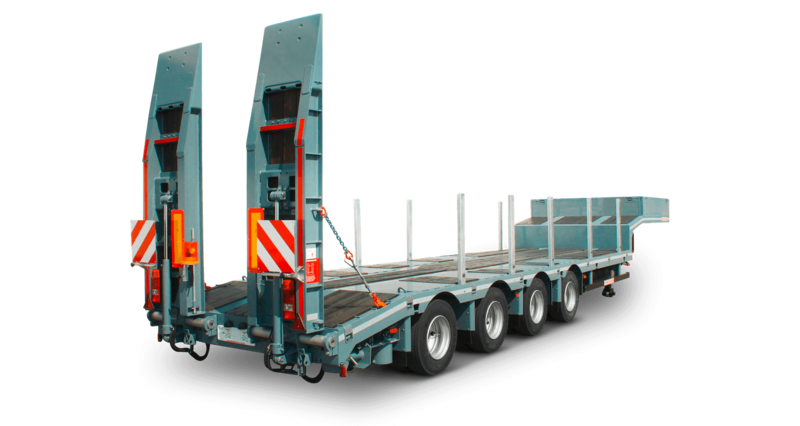 4-axle low loader semitrailer with offset platform - UAB "Ligranta"
Air-sprung low-loader unit with low-maintenance axles. 4 x 10 t, (technical 4 x 12 t) wheelbase 3 x 1.310 mm. S-cam brake 300/200 mm, autom. brake linkage adjuster. in cab and additional operation on semitrailer. Pull-out extensions, on both sides of drop deck and rear taper, incl.